Amazon has this 12-count of Galil 14 oz. 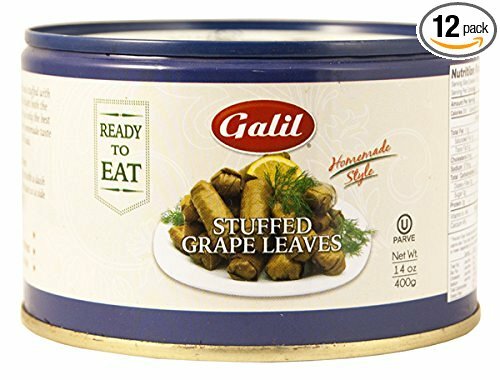 cans of stuffed grape leaves (dolmas) for $40.28 with free Prime shipping ($3.36 per can). Dolmas are great to have on hand in your pantry if you're ever surprised with extra Shabbos guests; they make a great side dish or appetizer. For a Shabbos lunch appetizer, I'd put two on a plate with a dollop of chummus and a few spoons of chopped tomato and cucumber on the side, and voila.